Up to 500 free spins to win! Visit website for full T&C's. Arriba, Arriba! Amigo Slots is one of the latest slots site to be part of the Jumpman Slots network. It is perfect if you are looking for some extra flavour with your slot. It is packed with great offers and a top welcome offer to bring in new fans – and no to mention some great games. Read more in our Amigo Slots review. 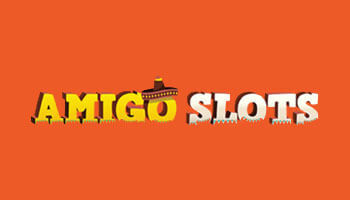 You will feel as if you are in the heart of Mexico when you head to Amigo Slots. You will be presented with sombreros, cacti, red hot chilis and more. The site is incredibly user-friendly which means you can get to all of the promotions and games they have to offer with no problem. There isn’t an Amigo Slots mobile app – but there doesn’t need to be! You can access the site from your mobile without any downloading. Simply head to your mobile browser, enter the URL – and you will be taken to a mobile-friendly version of the page. There is a red-hot welcome offer available at Amigo Slots. All you need to do is make a deposit of just £10 or more – and you will then get a chance to spin on the Mega Reel. One spin on this could give you up to 500 free spins on Chilli Heat. As you may have guessed from the name – there is a heavy focus placed on slots at Amigo Slots. They have teamed with the likes of Net Ent, Quickspin, Leander Games and others so you can enjoy a large and high-quality games collection. You will find impressive titles such as Fluffy Favourites, Age of Discovery, Lucky Leprechaun, White Wizard, Temple of Isis, Finn and the Swirly Spin and lots more. There are also casino games such as Blackjack and Roulette for you to play, and if you feel like something different you can check out your bingo treats. There are 75 ball bingo and 90 ball bingo games for you to select from which tends to be the most popular. You will find great games all day, every day to take part in. If you ever need any help at Amigo Slots, then don’t worry – help is at hand. There is an FAQ section readily available which you can look at for answers to the most general queries – or else you can submit your question online or send an email to their support team. If you are looking for an all-round, fun-filled slots site – then make sure you check out Amigo Slots.